Caption slip reads: "Photographer: Rustan. Date: 1957-03-16. 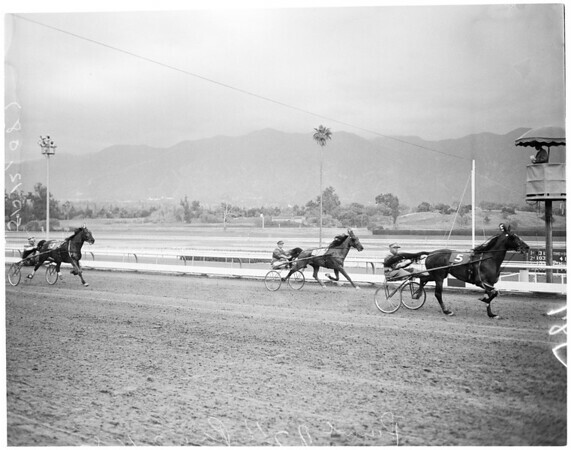 Assignment: Harness Races. 87: Finish of 7th race. 88: Finish of 8th race".